Favorite Baby Shower Food Ideas From Our Readers! 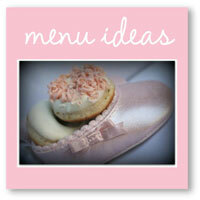 What are your favorite baby shower food ideas? We recently took a poll asking readers for their favorite party recipes, snacks and appetizers. The results are below. Some even include yummy recipes! put all in crock pot. 350' oven for 15 min. ham or spicy italian sausage.